Feeling the winter blues? 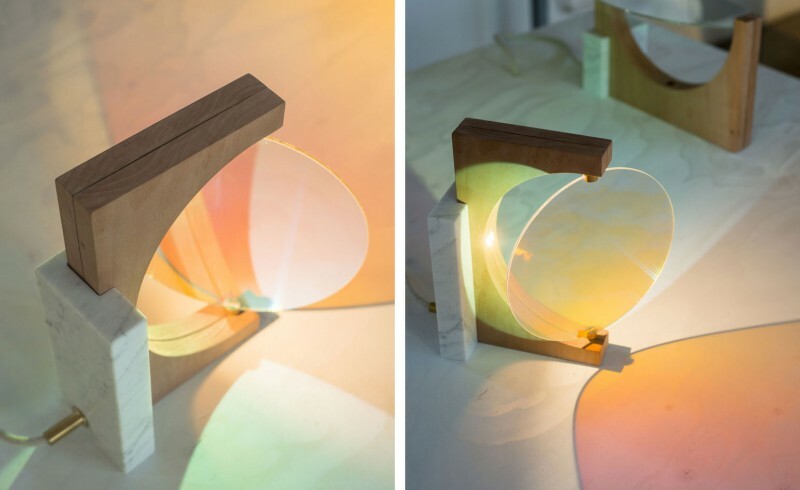 Then it's time to find out about the beautifully designed day & night light by Eléonore Delisse! As our natural body clocks are programmed to respond to light Elénore has designed a timepiece that uses light to rebalance our daily cycle. A dichroic glass rotates slowly above a lamp to create different colours. The clock is set to generate a blue light in the mornings, to lessen melatonin production and stimulate wakefulness. In the evenings another light kicks in, casting a warm amber glow that sets off melatonin production and sends you to the perfect sleep.